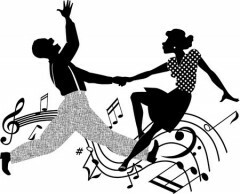 The different types of swing dance styles include Lindy Hop, Jitterbug, East Coast Swing, Collegiate Shag, Jive, Balboa, Bal-swing, Lindy Charleston, Carolina & St. Louis Shag, D.C. Hand Dancing, Rodeo Swing, Ceroc, Modern Jive, Boogie Woogie and West Coast Swing. While the first swing dance was the Lindy hop, the most recent is West Coast swing. West Coast swing is always evolving along with contemporary music. So, these are the major swing dance styles and genres, although there are many variations and regional adaptations for swing dancing. Differences between Lindy, Jitterbug, East & West Coast Swing here. 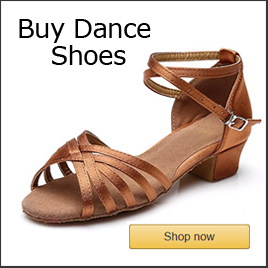 Read more Swing Dance Articles Here! 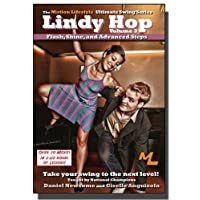 The Lindy Hop is the grandfather of the many swing dance styles. And developed as a partner dance in the 1920’s and 30’s in Harlem, New York at the Savoy Ballroom. 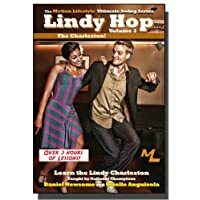 The Lindy hop incorporated partner Charleston, sometimes referred to as Lindy Charleston, and Balboa dancing. Both six and eight count swing patterns are used in Lindy hop. Many people associate it with the early clips of Whitey’s Lindy Hoppers, the most famous was Frankie Manning, doing flips and aerials. 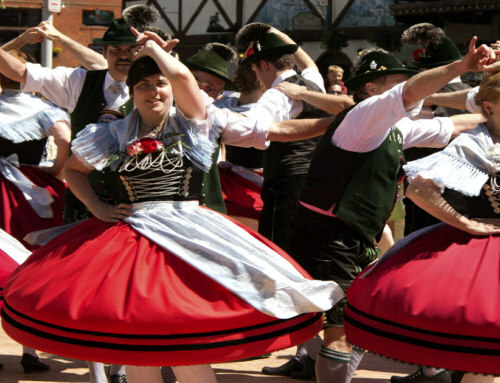 However, it evolved into a social form of swing for the larger population of dancers. The original Lindy Hop, sometimes called the Savoy style evolved in the 1940’s by Dean Collins and dozens of Hollywood films. The new L.A. style promoted by Dean Collins was later referred to as Hollywood or Smooth Lindy Hop. Later, the Lindy Hop began to fade as East & West Coast swing rose in popularity. Meanwhile, in the 1980’s, Jonathan Bixby and Sylvia Sykes rediscovered the Collins smooth style of Lindy Hop. Finally, in the 1990’s Frankie Manning was brought out of retirement and the Neo-Swing revival began. This created a whole new generation of Lindy hoppers. Read more about Lindy Hop here. Balboa is a swing dance style (genre) that originated in the 1920’s and 30’s. Other related dance genres of this period include Lindy hop, Charleston and Collegiate Shag. However, unlike many of the other swing dances from the swing era, it arose in Southern California on the Balboa Peninsula in Newport Beach. Originally, it was danced at the Balboa Pavillon (built in 1905). The Balboa is danced in a more upright dance position than the other swing dances and using a close embrace. In addition, this dance also uses intricate footwork to beats as slow as 100 BPM and as fast as 300 BPM’s. There are some variations of the Balboa including the Bal-swing which uses some open dance movements. Read more about the Balboa here. East Coast Swing is a swing dance style that evolved from Lindy Hop in the 1940’s through the codification of the Arthur Murray dance studios across the United States. While the name of the dance implies a regional context, the East Coast swing spread across the country. Consequently, other names for the dance genre include: American Swing, Triple Swing and Jitterbug. 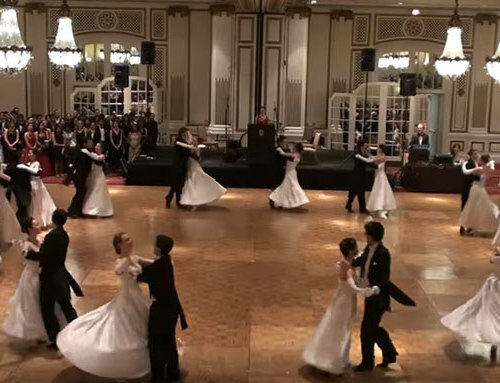 The term “East Coast Swing” refers to a form of social partner swing dance that uses mostly six count patterns, although there are some eight count variations. Also, it is a spot dance moving in a circular fashion with most patterns ending (or in some schools starting with ) a rock step. It uses three different rhythm structures: single, double and triple rhythms. In some regions of the country, it commonly refers to the triple rhythm form of the dance while “Jitterbug” is used to refer to the single-rhythm form of the dance. Read more about East Coast Swing here. The term “Jitterbug” was used to refer to many different types of swing dance styles, as well as, some swing dancers furing the swing era. 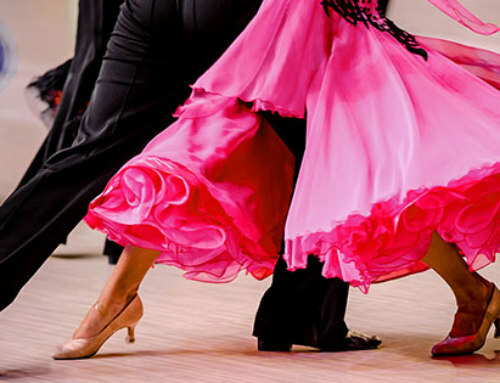 Sometimes it was used to refer to dancers that looked like they had the “jitters.” However, in present day it most often refers to the East Coast swing, particularly, the single-rhythm form of the dance. In the 1930’s, the term was popularized by Cab Calloway with a recording titled “Call of the Jitterbug” and a film “Cab Calloway’s Jitterbug Party.” The Jitterbug (and swing dancing generally) continued to rise in popularity from the 1920’s until the end of World War II. As a result of the war, the Jitterbug and swing dancing across the Pacifica and Atlantic oceans. Today the term Jitterbug is used almost interchangeably with “Swing,” but generally refers to the East Coast swing rather than the Lindy Hop or West Coast swing. 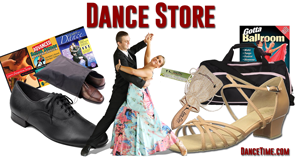 Read more about Jitterbug Dance here! Swing dance is an umbrella term for a group of swing dance styles (genres) that originated in the 1920’s, along with the Jazz Era of music, starting with the Lindy hop then evolving into many different variations including the Jitterbug, East Coast Swing, Collegiate Shag, Jive, Balboa, Lindy Charleston, Carolina & St. Louis Shag, D.C. Hand Dancing, Rodeo Swing and West Coast Swing. The swing dance craze spread across the United States. And in each area of the country, it evolved creating its own regional version along with changes created to better fit the music of the day. Meanwhile, jazz music started using a swing beat, a rhythm that was perfect for swing dancing. West Coast Swing is a partner swing dance style that developed from the Lindy Hop and other swing dance genres like East Coast swing in the 1950’s. Originally, it was called California Swing and Western Swing but finally arrived at its current name in the 1960’s. 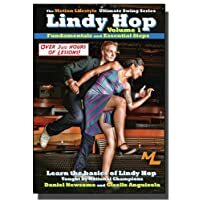 It evolved from the Lindy Hop with California swing dancers like Dean Collins, who derived a smooth style of Lindy Hop sometimes called Hollywood Swing. There were many Hollywood movies that contained swing dancing and the camera angle were optimized by dancing the swing in slot instead of a circular formation. It is suggested that this might be how it became a slot dance. 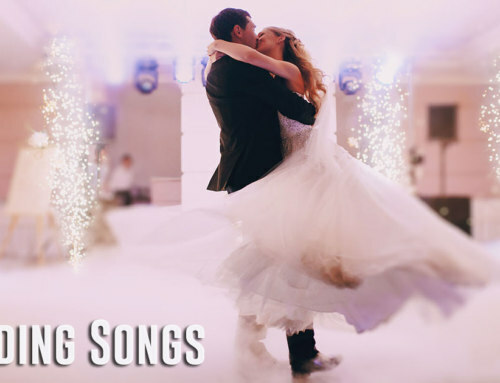 West Coast swing can be danced to a wide variety of music including R&B, blues, soul, rock, pop, ballad, C&W and many types of contemporary music. Due to this phenomena, it has continually evolved since it started to fit the music of the day. The tempo ranges from 100 to 140 BPM’s with the best tempo somewhere in the mid-range. While there are variations of West Coast swing with some dancers preferring to dance to blues and others contemporary, the West Coast swing has been codified by swing competitions and the rules and regulations about what composes West Coast Swing. Read more about West Coast Swing here. Jive originated when the American swing dances arrived in Europe and evolved into the Jive swing dance. Currently, Jive it is one of the five dance genres included in International Latin style competitions. Jive is danced to fast swing music, similar in tempo to East Coast swing and Jitterbug which is between 140 to 175 beats per minute. DC Hand Dance is a swing style partner dance that developed in the 1950’s in the Washington D.C. area. It evolved from the Lindy Hop, Jitterbug and other swing dances from the 1920’s and 30’s. This form of swing was originally done to the fast big band tunes and bands like Big Joe Turner. Eventually, dancers preferred a slower tempo with the upsurge of soul and Motown music in the sixties. Historically, the name, “Hand Dance,” originated in the 1990’s at the start of the Neo-Swing revival. 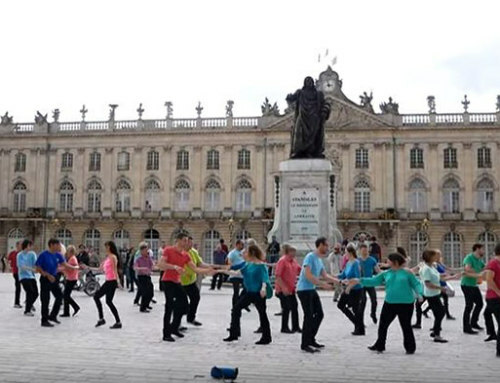 Hand Dancing has spread across the United States. While, Hand Dancing it is still mostly a regional swing dance radiating north to Maryland and as far south as Virginia, it is seen at many West Coast swing competitions. Carolina Shag is a partner swing dance style similar to East Coast and West Coast swing that uses mostly six count patterns. The tempo is between 100 to 150 BPM’s. Also, it is the state dance for North and South Carolina and is popular in that region of the United States. Historically, the Carolina shag originated in the 1930’s and 40’s in the Big Band Era. This form of shag dancing is done in a slot like West Coast swing. However, it uses footwork that is more similar to East Coast swing. Carolina shag is a form of swing where the upper body, arms and hands remain somewhat still. Meanwhile, the footwork is quite intricate. Also, it is one of the few forms of swing that focuses on the lead part rather than the follow part. 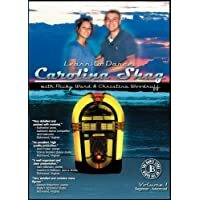 Beach music is a regional swing music particularly popular in the Carolina’s for Carolina shag dancing. The Carolina Shag is seen at many West Coast Swing competitions in recent years. And some dancers cross back and forth from Carolina Shag to West Coast Swing. St. Louis Shag is a variation of swing dancing related to the other Shag dance genres that uses mostly eight count patterns. 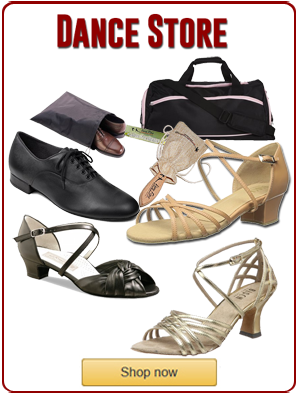 Collegiate Shag originated in the 1930’s along with Lindy Hop, Charleston and Balboa. The history of Collegiate shag is not well documented. Generally, collegiate swing is a form of swing preferred by college kids. However, adults dance this form as well. In the swing dance world, many of the Lindy Hoppers seem to agree that a specific form of shag is what they call the Collegiate Shag. 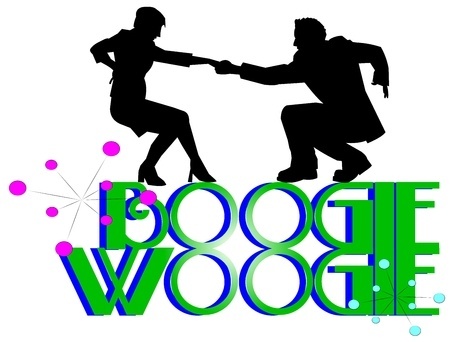 Boogie woogie is a term used for a form of swing in Europe. 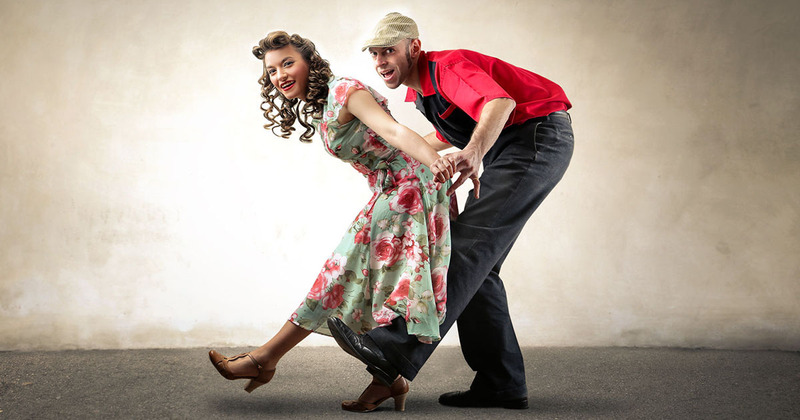 In addition, this style of swing is similar to East Coast swing, Lindy Hop and Jitterbug. Sometimes, the name “rock and roll” is used by Europeans for swing dancing. Moreover, fast tempo music is used to dance the boogie woogie. Lastly, this dance is associated with acrobatic type moves there is also a social form of the dance. 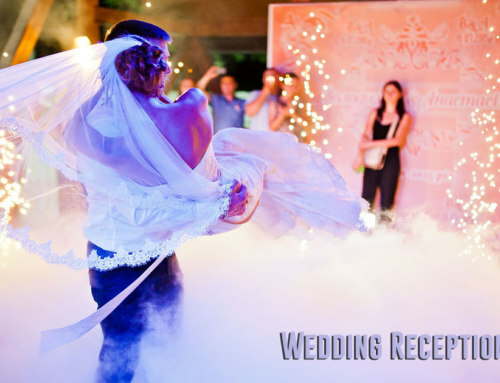 Ceroc is a partner social dance genre that is a hybrid between Jive and Salsa with simple footwork. Historically, it is related to other dances like French Jive, Swing and Lindy Hop. However, it is a very simple dance that works well for newcomers to dance. Ceroc is a brand name for modern jive. Additionally, this dance is done to many different types of dance music. The music spans 60’s music to the present contemporary pop, rock and soul music. The swing continued to evolve from the 1920’s to the present as contemporary music changed. And many swing dance enthusiasts world-wide still enjoy dancing to the original swing era music. In recent years, a new generation of swing dancers started with the late 1990’s swing music revival. This generation of swing dancers formed vintage dance societies that enjoy the 20′ to 40’s music and attire. 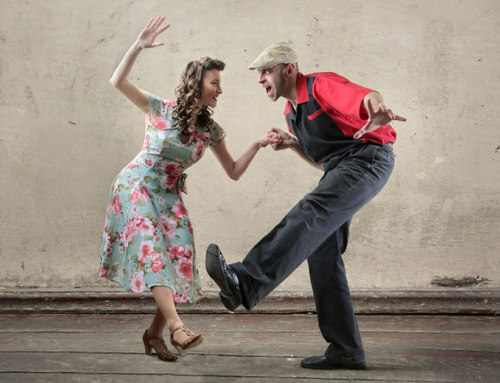 The West Coast swing was one of the latest forms of swing dance styles originating the 1950’s and 60’s; it is a living dance that evolves with contemporary music. West Coast swing has spread around the world to places like Australia, Russia, France and the UK. Jazz music reached its peak in the Swing Era starting during the depression until the end of World War II. Afterward, jazz evolved into the Big Band sounds of the 1940’s and so did the swing dance styles. Ultimately, the big band tunes were too fast for a triple step so the single rhythm style dances became popular. Also, the music continued to change along with the swing dances. During the late 50’s swing dancing and music was on decline. The next few decades experienced the 60’s Motown sounds, as well as, the 70’s Disco and 80′ rock music. In the late 1990’s and early two-thousands, there was a also a neo-Swing revival. Subsequently, this led to the creation of new swing music and Lindy hop, balboa and East Coast swing dancing. Also, the West Coast swing’s popularity continues to skyrocket along with contemporary music.